1. Over 1,800 stunning classic cars from a range of marquees from Aston Martins and Maseratis to Porsches and Ferraris, and everything in-between on display. Take a ten-mile passenger ride in the car of your dreams with the charity Sporting Bears.  Perhaps buy a classic car from one of the UK’s best classic motoring dealers such as Graeme Hunt, Hurst Park and Suffolk Sports Cars to name just a few. 2. Over 650 specialist exhibitors, including traders, plus the UK’s largest indoor Autojumble, the show has all of the must have-products for 2015. Incredible displays from specialist restorers Aston Workshop, Design 911, Ian Webb and Rolls Royce & Bentley Garages sit alongside classic spares companies such as Jaguar Heritage, Rimmer Bros and SNG Barratt. 3. There are 250 classic car clubs attending the show this year and displaying their classic cars; you will see amazing line-ups of rare and unusual marques as well as them battling it out in the FBHVC Motormind Club Quiz on the Wheeler Dealers Live Stage with Discovery Channel. 4. The 2015 Meguiar’s Club Showcase will feature the crème de la crème of the classic car scene; fourteen of the UK’s finest classic cars. These cars have all been selected as previous show winners, chosen for their immaculate presentation and condition. An overall winner will be chosen by Mike Brewer, of Discovery Channel’s Wheeler Dealers on the final day of the show. 5. The Restoration Theatre, with lecturer Mike Coman and his team from Leeds City College will be manning The Restoration Theatre offering demos on panel repair, lead loading and body work. Experts from across the classic car industry have come together to bring you a full-on line-up of masterclasses, hints, tips and advice. 6. New Features for 2015! This year’s show brings two new incredible features. The Car Pride of Ownership, a display from private owners who may have recently restored their classic, have award winning concours cars, rare finds, and some classics are only one of their kind. As well as Motor Sport magazine’s tribute to Graham Hill which celebrates his life and career by displaying three of the amazing vehicles that he drove in period including the BRM P57, built for the 1962 Formula One season. 7. Silverstone Auctions is welcomed back as a fantastic addition to the show with quality vehicles and automobilia from within the UK over a two-day sale taking place on Saturday 14th and Sunday 15th November in Hall 2. Automobilia and Lifestyle items will auction from 10:30am and the Car auction starts at 1:30pm each day. 8. The Wheeler Dealers Live Stage, hosted by Discovery Channel’s ‘Wheeler Dealers’ Mike Brewer and Edd China, the Live stage presents a full daily programme of motoring entertainment including ‘Edd’s Practical Challenge’, classic car parades, special guests, meet the experts, game shows, giveaways and general tomfoolery all day, every day. 9. Motoring Celebrities. Expect to see a raft of celebrity guests on the Live Stage with Discovery Channel – including Wheeler Dealers’ Mike Brewer and Edd China, For the Love of Cars’ Ant Anstead, TV star Car SOS’ Fuzz Townshend. Plus there will also be appearances by Sir Stirling Moss, former F1 team manager Ross Braun, and Nigel Roebuck on the Live Stage. 10. Two shows for the price of one! The Classic Motorbike Show sits within Hall 5 displaying over 300 classic motorbikes and scooters on display, Vintage wall of death, classic clubs and traders, a Bike autojumble, Comet Classics Pride of Ownership, and the National Motorcycle Museum with its ‘Where Are They Now?’ feature, which reunites the motorcycles raced by some of the biggest names in motorsport, including biking legends that will be at the show over the weekend. So there you have it, if that’s not enough to get the petrol in your veins racing, god help you. See you there!